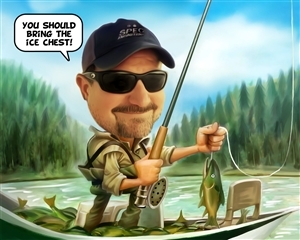 It's all about how you wiggle your worm! 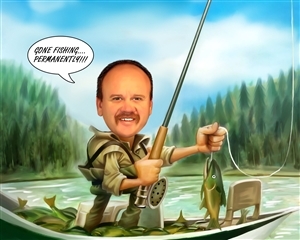 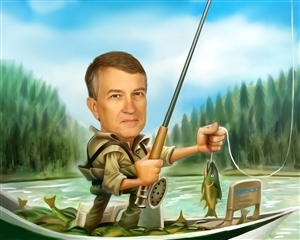 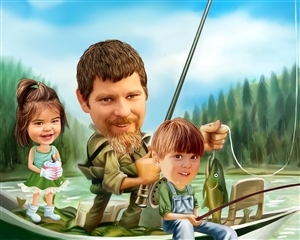 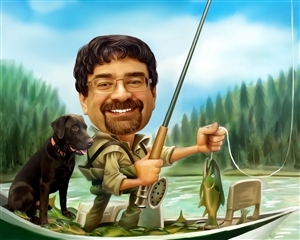 Let's place your favorite angler in the boat and showcase his fishing prowess in this fun caricature. 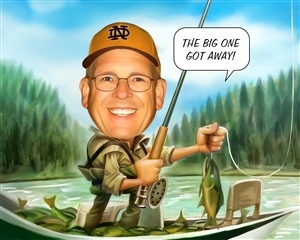 He would be proud to hang this fun art in the kitchen.